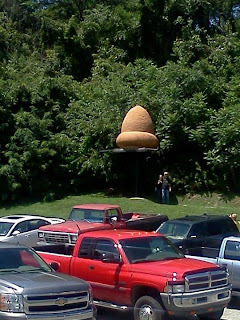 Today, I had a chance to venture out to Kecksburg for the Kecksburg UFO Festival. This awesome event centered on the famed and mysterious crash sometimes called the Pennsylvania Roswell was both educational and fun. More importantly, I was able to catch up with some friends and colleagues, such as Stan Gordon (from UFO Anomalies Zone), John Ventre (MUFON), and Eric Altman (Pennsylvania Bigfoot Society and Beyond the Edge Radio). Of all of the guest, it was awesome to talk with Eric about the upcoming Bigfoot Expedition to locations here in Fayette County, PA. Incredibly, this region is one of the biggest hotspots in the nation for sightings of this famed cryptid, and I for one cannot wait to get back out in the field for the weekend event. Yesterday, we gathered all four daughters together for a trip to the Fayette County Fair. One thing that is always interesting at these events is the variety of exhibits. Of course, they are very different from when I was a kid, with some of the modern sideshows and such. This is a travesty, as honestly, there is nothing better than the world of curiosity and oddities. Fortunately, society may be changing some with the popularity of shows like Oddities and now Oddities: San Francisco. If you have read my blog, you most likely know that I am all for these shops and have started building a curiosity cabinet. This same trend seemed to continue at our fair, as there was again a couple of side show related oddity exhibits, complete with multiple legged cows, two headed squirrels and four horned goats. I was truly in my element. It has been an interesting few days at work, as my new class and I overhauled a 1950s RCA Victor phonograph (it sounds awesome) and built a weird vibrating rocket ship. Of course, here at the house, we focused on completing some things for the Fayette County Fair, which we got to enter today. Overall, it was just another busy week. 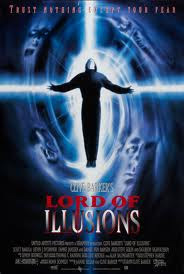 Fortunately, I had some time to squeeze in a movie, Clive Barkers, Lord of Illusions. Plot/ During a routine case in L.A., NY private investigator Harry D'Amour stumbles over members of a fanatic cult, who are waiting for the resurrection of their leader. 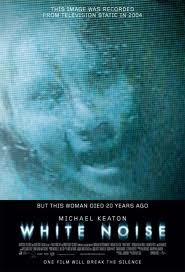 After watching its sequel, I decided to revisit White Noise to see if my opinion has changed after all these years. For me, as an investigator, I have recorded some creepy EVPs at some locations, and feel that it is a great tool. Unfortunately, this one left me feeling different from that of reality. Plot/ An architect's desire to speak with his wife from beyond the grave, becomes an obsession with supernatural repercussions. 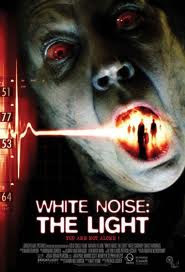 I was sitting around looking for something on the tamer side for Scary Movie Night with the daughters and decided on White Noise 2: The Light. Ironically, I had avoided this movie like the plague for some time, as I was extremely disappointed in the first film. However, if I new Nathan Fillion was in it, I would have watched it earlier. No, it is not a man-crush or anything, but he does star in my favorite show Castle and his performance as Captain Hammer is one of my favorites. After an evening with my sister at the Death Cab For Cutie concert and a trip with her and the kids to IdlewildPark and StorybookForest, it was time last night to find something more my speed. So, I sat back and decided to watch the 2011 independent horror flick, Absentia. Plot/ A woman and her sister begin to link a mysterious tunnel to a series of disappearances, including that of her own husband. While I have been in the middle of a somewhat giallo marathon, at times I need to throw something else on. Today was one of those days as I decided on something tamer with the daughters running in and out of the living room. 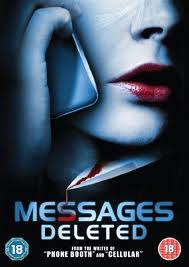 After searching Netflix, I settled on the 2009 mystery / thriller Messages Deleted. Plot/ A screenwriting teacher is forced to live out the plot of a screenplay idea he stole from a student, who now seeks revenge. After watching the Crimson Rivers last night, I decided to venture back into the world of vintage 1970s giallo. Of course, I had to wait until the Pirates defeated the Giants today so I could Raise the Jolly Roger here at the house, before I could get started. Fortunately, for me, I have a ventriloquist dummy here in the living room that holds the flag perfectly. 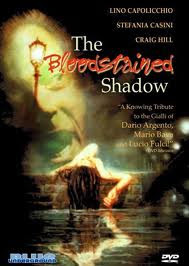 Now let’s move on to the movie, the 1978 giallo The Bloodstained Shadow. Plot/ The body of a schoolgirl is found in a meadow. The murderer is never caught, and years later; a young man named Stefano returns to the island and is reunited with his brother, the local priest. I had been spending some time on Netflix trying to find some good movies from the vintage giallo genre. For some reason, I have been stuck with that type of film in my head. After populating my instant queue, I decided to take a break yesterday and attend my first Pittsburgh Pirates game since retiring and moving home, what an amazing experience that was. Luckily, for me, the Bucs beat the Astros 2-0 to complete the sweep; my only disappointment was I forgot my broom. I decided to get back at it tonight with one of the flicks I put into my queue. 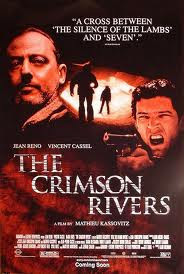 While it was not a vintage giallo, it was an interesting thriller, The Crimson Rivers. Battling this stomach flu has been absolutely no fun, as I lack the energy to do almost anything. I have not even had a chance to finish the UFO Detector I am building with the daughters. 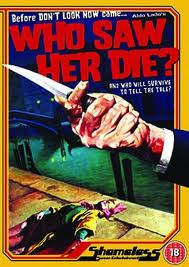 I have had a chance to watch some good flicks, the next one that was up is the 1972 giallo, Who Saw Her Die! Plot/ A young girl is brutally murdered somewhere in France. Sometime later, the same thing happens to the daughter of a well-known sculptor. This time the parents (the sculptor and his wife) start investigating, and soon find they are in way over their head. Meanwhile, the body-count keeps rising as the killer now starts butchering all those who find out too much. 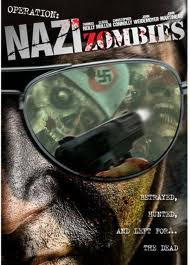 When I was searching for something to watch the other day while being laid up with some type of stomach virus, I decided to check out some more of that great Nazi Zombie subgenre. My selection for the day (at least the first one) was from 2003 Operation: Nazi Zombies. Plot/ A team of Army Special Forces is sent into a secluded, secret biological weapons facility, only to fall prey to the specimens of a Nazi experiment that was recreated by the Army Chemical Corps and the CIA after World War II.